For years I had been following the Oz’s Travels blog, commenting from time to time on the great wine (and food) experiences described there. Over these years, we built a virtual friendship with Oz (Anthony), the author of that blog, with one recurrent theme “one day you will make it to Singapore, and then…”. As amazing as the life is, that “one day” actually happened about two months ago when my business travel finally brought me to Singapore. Maybe you saw my very excited post about Gardens of Singapore – but the evening before I experienced all the gardens, I was able to meet, shake hands, and share a few (okay, more than a few) bottles with Oz and his friends. Oz picked me up from the hotel with his friend Rob and we proceeded to the restaurant, where another Oz’s friend (also Rob), was already waiting for us. 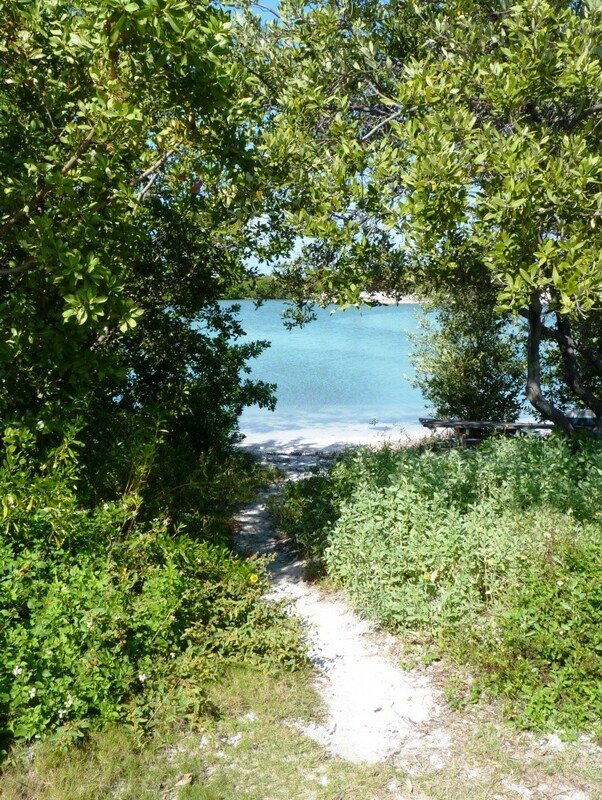 Then, there was food, wine, and scotch – but let’s take it all in steps. First, the restaurant – newly open Garang Grill (a sequel to the already successful Garang Grill at another location). The restaurant allows guests to bring their own alcohol, which we took an advantage of – while restaurant provided glasses and decanters. During the course of our dinner, I had an opportunity to experience a variety of creative dishes. Skewers of sauteed foie gras were melt-in-your-mouth delicious. Luncheon meat fries (yes! talk about creative!) were superb with delicious dipping sauce. I since made the same dish at home and everyone loved it. Crab rillette, steak – everything was delicious and tasty. Here is an account of our dinner – in pictures. 1996 André Beaufort Champagne Grand Cru Ambonnay. Never had it and never heard of André Beaufort Champagne before. Meanwhile, this happens to be one of the oldest all-organic grape growers in Champagne. This 1996 was disgorged in 2014. The wine had great acidity, green apples, still perfect fizz, candied apples with a hint of cinnamon showing on the nose. Yeast showed up later. Excellent. That was a real treat. 2008 Grosset Polish Hill Riesling Clare Valley. Australian Riesling is not a simple wine. I remember trying young Australian Rieslings many years ago, and putting them into the category of “I never want to drink this again”. It takes a bit of time to understand the beauty of the wine devoid of any sweetness and instead offering in-your-face acidity and minerality. But once you turn the corner, this becomes the style you crave. This particular wine at hand was, in many ways, an encounter with the legend. You see, Clare Valley is one of the best regions for Australian Riesling. 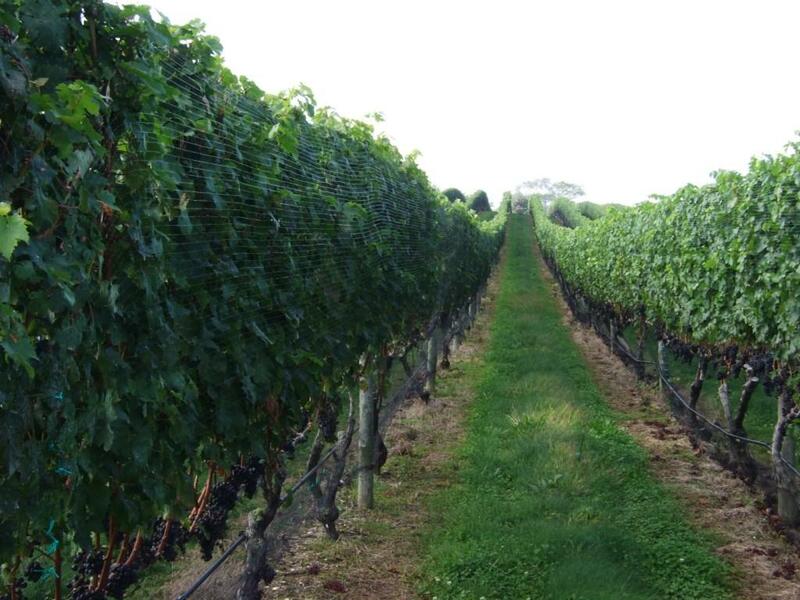 Polish Hill is one of the very best vineyards. And Jeffrey Grosset is a legendary producer, one of the best winemakers in the world. Now you add a bit of age, say, 10 years – and you almost get heaven on Earth – petrol on the nose, restrained palate, minerality through the roof, great acidity, just a pure delight in every sip. 1994 Bodegas Beronia Rioja Reserva. Behind damaged label was an excellent wine – still fresh, good fruit, good acidity, excellent. Still has time to evolve. Based on the color also still young – just starts showing age. 2005 Jordan Cabernet Sauvignon Alexander Valley. This was my contribution to our lineup. Jordan needs no introduction to the Cabernet Sauvignon wine lovers. This wine was very good, typical California Cab. The wine had an interesting amount of sweetness, more than I expected – as it showed no age, I would assume it still needs more time to evolve. I have one more bottle from the same vintage – will have to wait with that one for a bit. 2008 Standish Wine Company El Standito Proyecto Garnacha Tintorera Yecla DO. This is a Spanish wine, of course – produced by Standish Wines from Australia. Yecla is the best known for their Monastrell wines – this wine, however, was made from the grape called Garnacha Tintorera, which is also known as Alicante Bouschet, which can produce massive, dense wines. This wine was no exception – excellent, restrained, good balance, good fruit, good acidity – and still in need 0f at least another 20 years to evolve. 2005 Dr. Loosen Erdner Prälat Riesling Auslese Mosel-Saar-Ruwer. You can’t finish such an evening without a dessert wine, can’t you? 13 years old Auslese by Dr. Losen – need I say more? The wine was amazing, great balance, a touch of candied plum, great acidity, fresh, simply superb. In addition to many whiskeys available by the glass, The Auld Association also offers a number of tasting flights – I had the one called “Smoke around the world” and it was definitely fun (I hope you don’t expect my tasting notes after 18 hours of non-stop travel and prior dinner with all the wines). So this is my account of an amazing evening in Singapore. It was definitely a pleasure meeting Oz and his friends, and the whole evening was simply beyond expectations. Cheers! During 2011 I wrote a number of posts for the project called The Art Of Life Magazine – of course talking about my favorite subject, wine. The project was closed and even the web site is down, but as I still like the posts I wrote, I decided to re-post them in this blog. Also, in that project, posts were grouped into the mini-series, such as “Best Hidden Secrets” and “Forgotten Vines”. The post I’m offering you today was an opening post in the mini-series called “Liquid Pleasures Beyond Wine”. 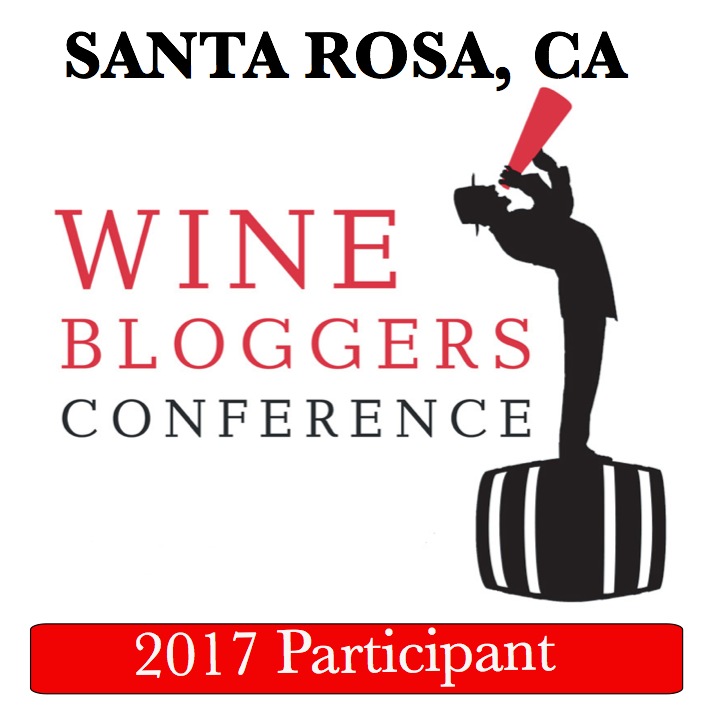 So far in this blog we mostly talked about wine, wine as an experience. We tried to uncover some of the hidden secrets of the wine world, such as Rioja, second labels of the famous wines, or French sparkling wines. We looked at the wines which were famous, then almost disappeared and now slowly coming back, such as Madeira and Jerez. We also searched for wine values, by comparing wines made from the same grape but coming from the different places. Did we explore enough the world of wines? Not really, we didn’t even touch the tip of a tip of an iceberg. Nevertheless, as we are looking for experiences, let’s take a step outside of the wine world, and let’s take a look at the other “liquid pleasures”. I’m talking about the group which is collectively called “spirits”, otherwise also known as “distilled beverages”, which is a name which is used in Wikipedia. Overall distillation is a process of separating liquids with the different boiling points, and its application goes way beyond the world of alcoholic beverages. Distillation first was uncovered about 2000 years ago, but first use for production of the “spirits” happened less than a thousand years ago. When applied to the wine or any other fermented substance (meaning that some degree of alcohol is present in the liquid to begin with), the end result of distillation is a liquid with increased concentration of alcohol. Historically, such high-alcohol liquids had various uses – one of the most important ones, which also has nothing to do with drinking the liquid, was medicinal. Strong alcohol is an excellent antiseptic; it is used in order to disinfect the area of the body, to kill any potential bacteria thus preventing any possible contamination. However, while this very important, such applications are completely outside of the scope of this blog, so let’s go back to the stuff we drink. There are many different kinds of the spirits produced in the world. Some have more universal appeal and can be produced in many countries following the same basic methodology, but some can be also unique for particular place (but if it is any good, it is extremely hard to keep a secret). Let’s take a quick look at the various types of the spirits – we will discuss some of them in detail in the subsequent posts. 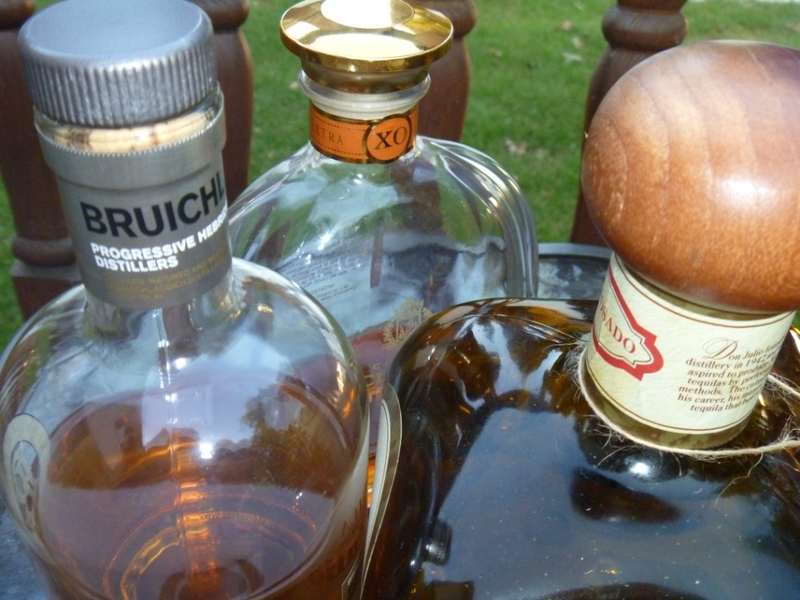 Let’s start with Brandy – brandy is a spirit which is produced from wine. This can be an actual grape wine, or it can be a fruit wine – both can be used for the production of brandy. For instance, Cognac and Armagnac are both made from the grapes, and Calvados, another famous French brandy, is made from apples. Brandy is produced in France, Spain, Italy (where it is known as Grappa), Georgia, Armenia, US, Mexico and many other countries. 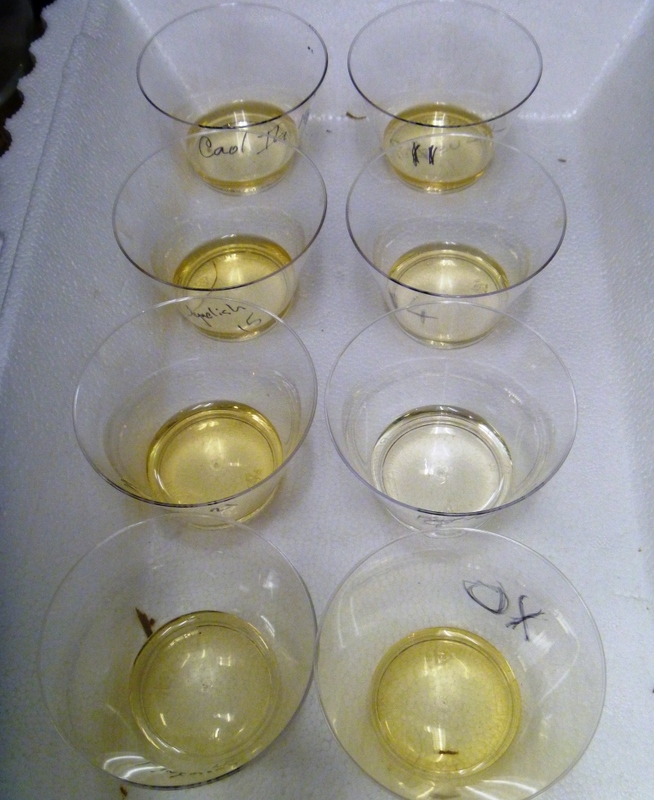 Next spirit we need to mention is Whisky, which is made out of grains (barley, rye, wheat, corn). This group includes Scotch, which is made in Scotland, and then Whiskey, which can be made in many different countries – for instance, Irish whiskey is made in Ireland, and in US you can find both Whiskey, which is often made from rye, and Bourbon, which is corn-based. Whisky is also produced in Japan, India, Canada and other countries. Then comes Vodka – made all around the world, from all possible ingredients. It is made in France, Russia, Poland, Italy, US, Canada and many other countries. It can be made from grapes, fruits, grains, potatoes and probably some other ingredients we can’t even think of. Vodka is often called a “neutral spirit” as it is typically produced flavorless (some flavor can be infused before bottling), and thus it is a popular component in many cocktails. To complete the “big scale” list of spirits, we need to mention a few more. Tequila, which is produced from the Blue Agave plant, is a very popular spirit coming from Mexico. I can’t resist to mention Mezcal, which is also made in Mexico using Agave plants, but it has distinctly different taste (and very hard to find). Then we need to mention Gin, which is also a popular cocktail ingredient and has a very distinct taste as it is produced from Juniper berries. And last but not least comes Rum, which is produced from sugarcane, and yet another popular cocktail staple. As we are looking for the great experiences, should we even look at all these “hard liquors” as they often called in the United States? Absolutely. Moderation is a key when it comes to alcohol (this universally applies to any kind of alcoholic beverages – beer, wine or spirits) – but once this is understood, one can definitely enjoy immense richness and variety of flavors coming from all these spirits. They definitely create a lot of great experiences and unique memories, and they bring lots of pleasure. In the coming posts, we will take a closer look at some of them – and until that time – cheers! Over the last few days, I had a few of the “accidental tastings”, which I would like to share with you. Oh yes, and if you are wondering about the title of this post – read on. 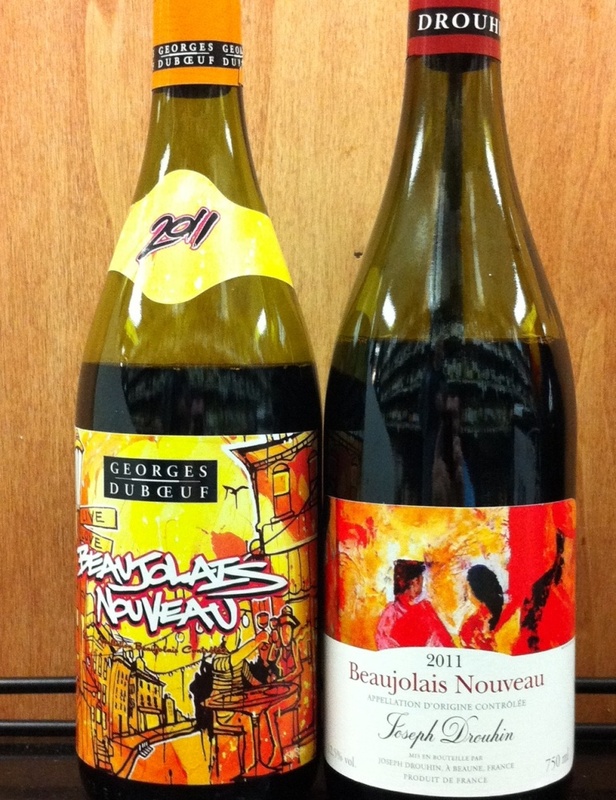 It is not the wine we will be talking about today – instead, it is the other type of “liquid pleasures”. Well, actually, not even one”type”, but a few – Tequila, Scotch and Whiskey! I have to admit, I don’t drink tequila all that often. When I do drink it, I don’t do shots (as I don’t see a point of pleasure in a quick gulp of an alcohol) – as wine, scotch or cognac, I like to sip and enjoy it slowly. Tequila DeLeón is definitely not something to look at lightly. I would say that in the overall image presentation, starting from the bottle itself (take a look below – that top is so heavy, it can be literally used as a weapon), to the web site and all the marketing materials, Tequila DeLeón is an attempt to bring out the tequila, shall we say it, of Rémy Martin’s level, and not just any Rémy Martin, but all the way to the top – Louis XIII de Rémy Martin. 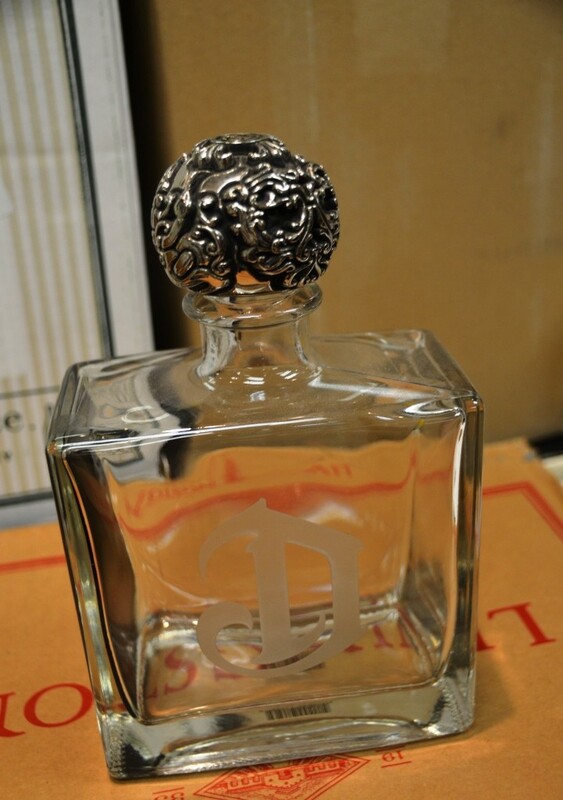 DeLeón Diamante – touch of sweetness, the classic Agave notes of tequila are very muted, viscous mouthfeel. DeLeón Riposado – nice herbal profile, had some lightness and touch of spiciness. One of my favorites. DeLeón Añejo – mind you, this tequila is aged in the used Sauternes oak casks, and not just any Sauternes, but venerable d’Yquem. Interesting palate, but not smooth enough, some rough edges. 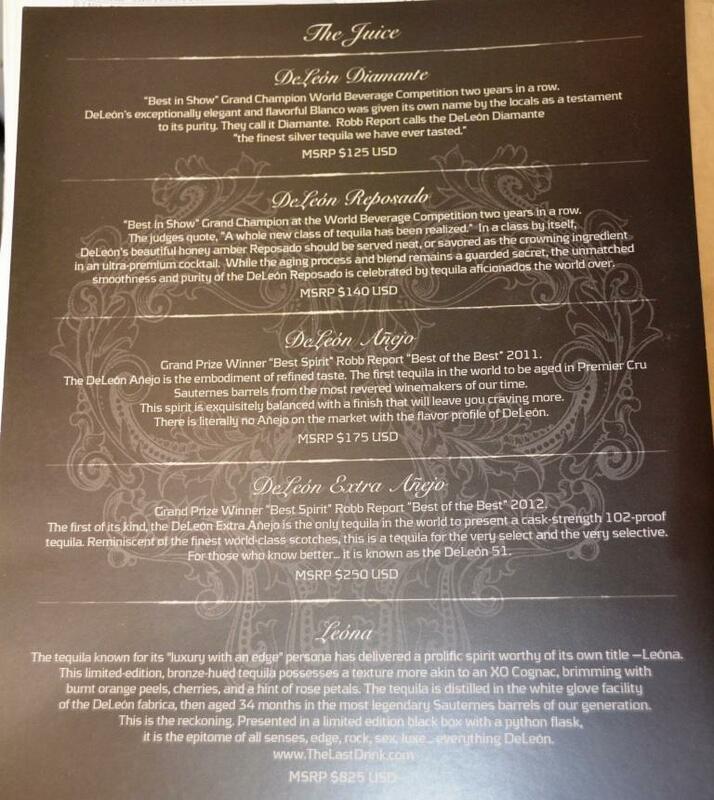 DeLeón Extra Añejo – very nice, excellent flavor profile, some spiciness, very good depth. Probably my favorite – which is not surprising, considering that it is compared with the Scotch in the official description. DeLeón Leóna – this is simply overdone. It has a lot of oak. A LOT. Oak is the only thing I was able to taste. Now, if we look at the prices, which are ranging from $125 for Diamante to $825 for Leóna, this is where Indifferent part of the post’s title comes into a play. I would gladly take Chinaco and Don Julio for the sipping tequila blanco any day (both are under $50), and I never tasted Añejo better than my favorite Tres Generaciones ( also under $50). I appreciate the art of the Tequila DeLeón, and yes, if you need to impress, go for it; meanwhile, I will have another sip of Chinaco. MacPhail’s Collection Highland Park 8 years old – very nice! hint of smoke, perfect balance, touch of sweetness. MacPhail’s Collection Glan Grant 10 years old – herbal notes, smooth, nice acidity, very good. Mortlach 15 years old – nice and simple, but somewhat one-dimensional. Old Pulteney 21 years old – nice, very complex, interesting nose, spicy profile – excellent overall. Glenlivet 21 years old – okay, so it is a scotch, but it doesn’t do anything for me. Based on the notes, you can probably see why this is just “okay”. But if you like Scotch, I would definitely recommend the Highland Park 8 and Old Pulteney 21 – those are worth seeking out. 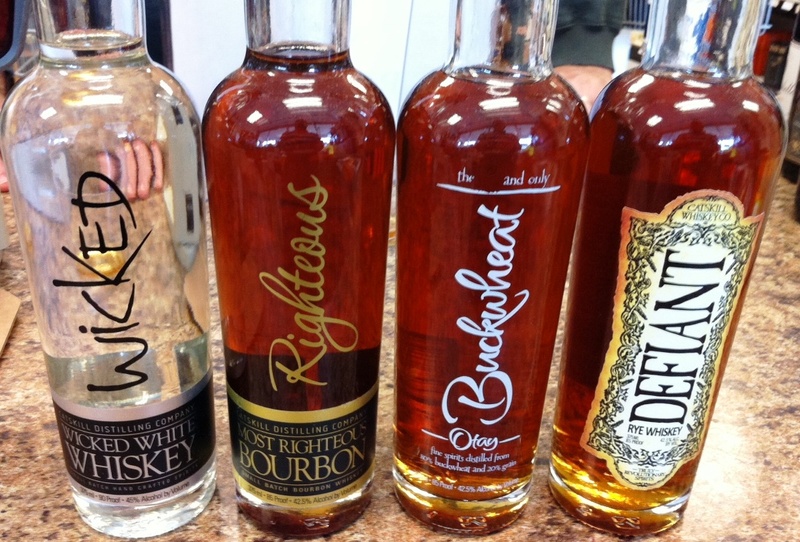 Wicked White Whiskey – this is six-grain (corn, wheat, buckwheat, rye, smoked corn, malt), un-aged whiskey. Absolutely spectacular nose and flavor – complete impression of delicate single-grape grappa with round sweet fruit and all around delicious. You have to taste it to believe it. Most Righteous Bourbon (70% corn, 20% rye, and 10% malt) – round, clean, caramel, butterscotch, all perfectly balanced together. One of the best bourbons I ever tasted. One and only Buckwheat (80% buckwheat, 20% small grains) – unique and different. Nose is absolutely unusual, reminiscent of sun flower oil. Viscous, roll-of-your-tongue delicious concoction. Great complexity, another drink you have to taste to believe it. Definat Rye – a very classic Rye, with a touch of sweetness, but otherwise dry palate, some spiciness and good acidity. All four spirits are reasonably priced ( from $19 to $38) and definitely highly recommended. There you have it, my friends – my story of indifferent, okay and spectacular. Enjoy the rest of your weekend and cheers! Continuing our tasting series courtesy of Cost Less Wines, we are now moving from Champagne region in France to Speyside in Scotland. 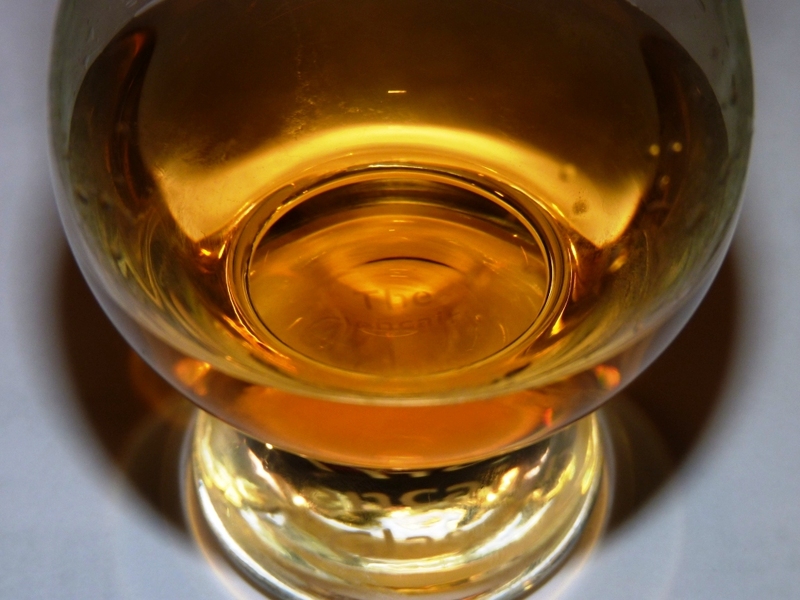 As a group, Speyside scotches usually mild, with nice and round character, and not very peaty. Subject of this tasting was The Glenlivet, oldest (and legendary) legal distillery in the region (as usual, Wikipedia provides wealth of information about the distillery, and also you can take a look at the company’s web site, even though I find it no so easy to use). 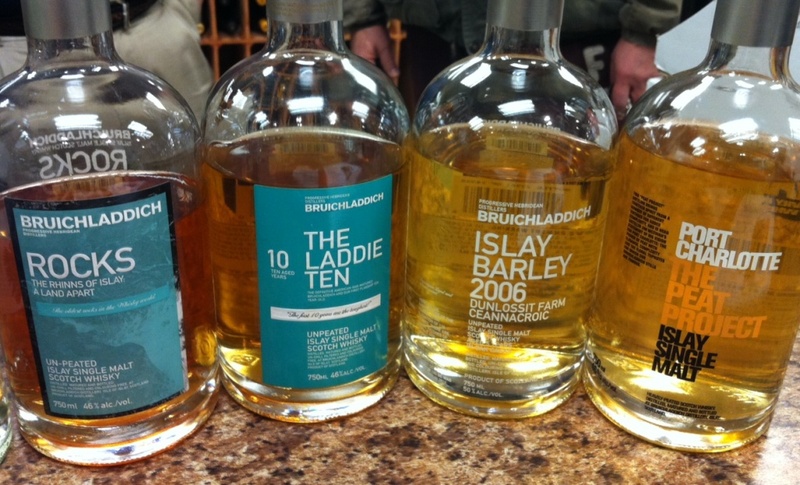 Four scotches were represented at the tasting – 15, 18, 21 and 25 years old. Such a tasting is a great opportunity to explore, experience and learn. Effectively, at this tasting you had an opportunity to try a “vertical”. I understand that wine category “Vertical”, when you try wine from the same winery made in a succession of years, is not applicable to scotch. But it is amazing what every 3 years in the cask would do to the actual taste. In the event, there was nice and noticeable progression in the taste – starting from smooth and simple Glenlivet 15, gaining complexity with the 18, and being super-rich, complex and round with 21. To my taste, Glenlivet 21 was probably the best. It had very complex but clean taste profile (yes, it was my favorite in the tasting and it has great QPR at $110). However Glenlivet 25 was beyond complex. It had a lot of stuff going, including oily substances on the palate – or may be I simply didn’t spend enough time with it. 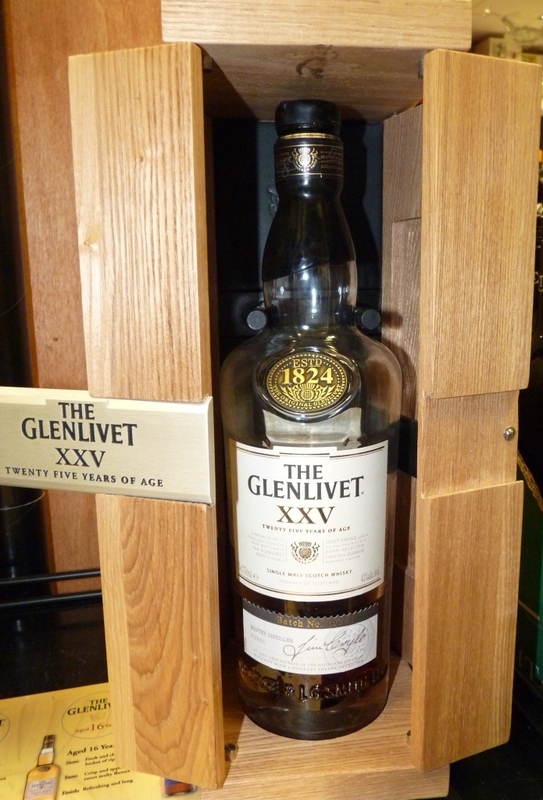 Does Glenlivet 25 worth $300? I think the answer is rather yes than no. 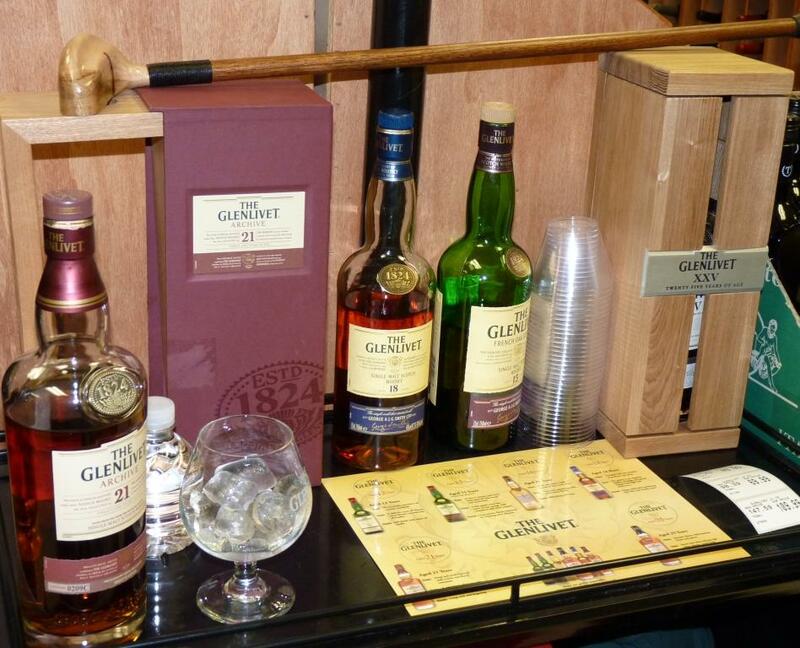 At the same time, one have to really understand the virtues of taste of the fine scotch, in order to fully enjoy it. But in any case, it makes a fine present, especially for “someone who has everything”. 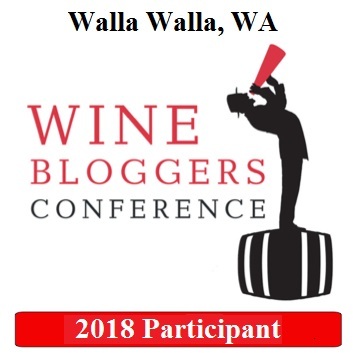 I will be glad to try it again if I will have the opportunity, but for now – there will be more tasting events at Cost Less Wines, don’t miss it!